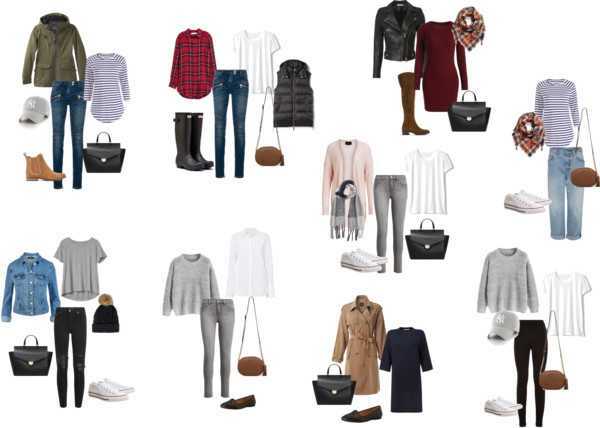 Finally I got the time to finish my post about the Fall Capsule Wardrobe I was mentioning before. So here it is: Enjoy! Some of you might be surprised to realise that it only takes 30 pieces to complete a full Fall wardrobe. Yeah that’s right! You might want to add some accessories like necklaces, watches or earrings but it’s not necessary. Or a pair of heels if you’re that kind of a girl. Otherwise it’s complete the way it is. You can also buy the recommended items right now. And if you’re done with your shopping or if you already own some of the essentials, get some inspiration from these instant outfit suggestions. I had so much fun putting them together. These are such versatile pieces which would give you endless combinations to recreate every day. What do you think? Would you add anything else to the list that you can’t live without this Fall? Let me know in the comments!